The grapes come from the La Solatia estate. The 30 hectares near the medieval town of Monteriggioni (Siena) have Pliocene and Holocene soils, with a silty-clay-loam texture, rich in skeletal limestone and plenty of travertine. The grape bunches (over 70% Sangiovese and 30% of other varieties) are picked earlier than those for making Chianti Classico in order to enhance the fruity notes. After fermentation in steel, with brief maceration to extract fewer tannins, pumping over and automatic punching down, the wine rests for 6 months in large Slavonian oak barrels of 35, 65 and 75 hectolitres. 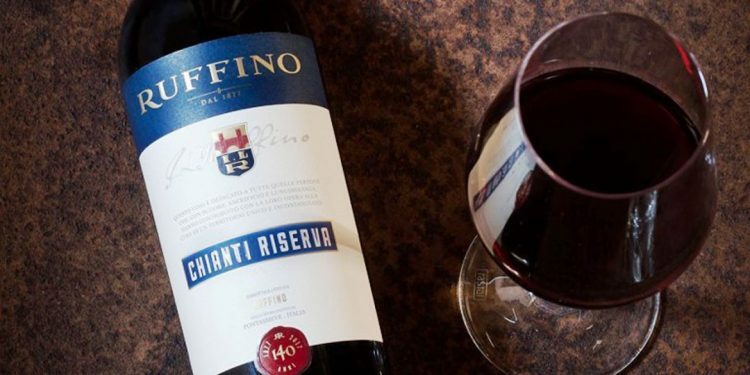 The the 2014 vintage of the Chianti Riserva Ruffino has been released on the market with 65,000 bottles, but the potential is 90-100,000 in the next few vintages. It is reserved for the HORECA sector and the average price in wine shops is around 10-12 euros: excellent value for money. The winery has chosen a vintage-style packaging bearing the original IL Ruffino logo on the capsule, which recalls the names of the founders: Ilario and Leopoldo. The 2014 vintage was the first one produced. It was rather cold and complicated, and gave us a Riserva where more elegant, vegetal and balsamic notes stand out.